One of my favorite childhood memories is of Halloween cards from my aunt. They always had a funny quote or joke on them and included $5, which of course was spent on pre-trick or treat candy. This Halloween why not send your kids, nieces/ nephews, or grand kids a spooky Halloween video? Here’s one I made using free materials available on the internet. Create and customize your own card with-this free software (then you can automatically upload it to Youtube, Facebook, or Vimeo) * Note: in the free version there is a watermark, in the paid version there is none. And this template download. 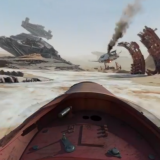 You can download the sound effects here, they have a good variety of sounds that you can choose from, I was a bit limited to the options that were for non-personal use. Next week will be filled with company Halloween parties and school Halloween carnivals. 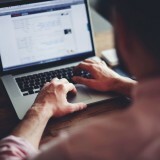 Why not share all your photos with friends and family via scary Halloween video? Here’s one created by our German team that is sure to get you into the spooky holiday spirit! HGTV has the ultimate selection of DIY Halloween ideas. They have even included templates and printables so that you can make your own spooktacular creations. 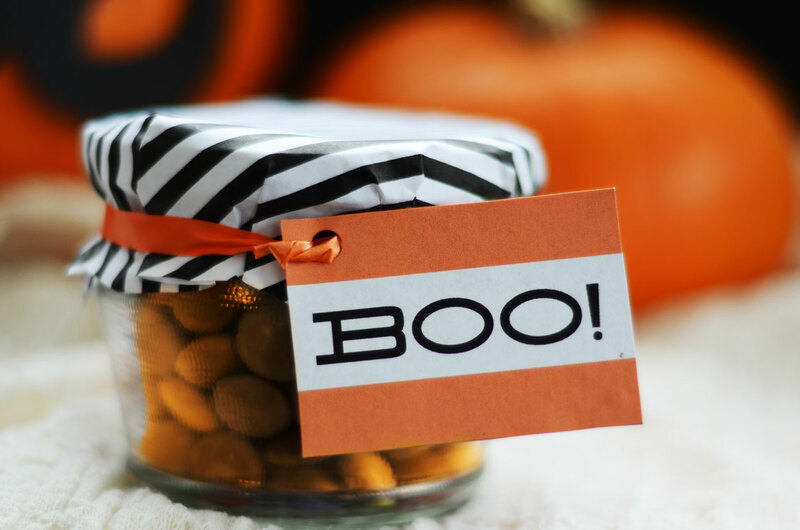 The labels for the jars in the photo above can be download here, there are also 55 other printable decoration items like bats, spooky signs, and even pumpkin carving templates. 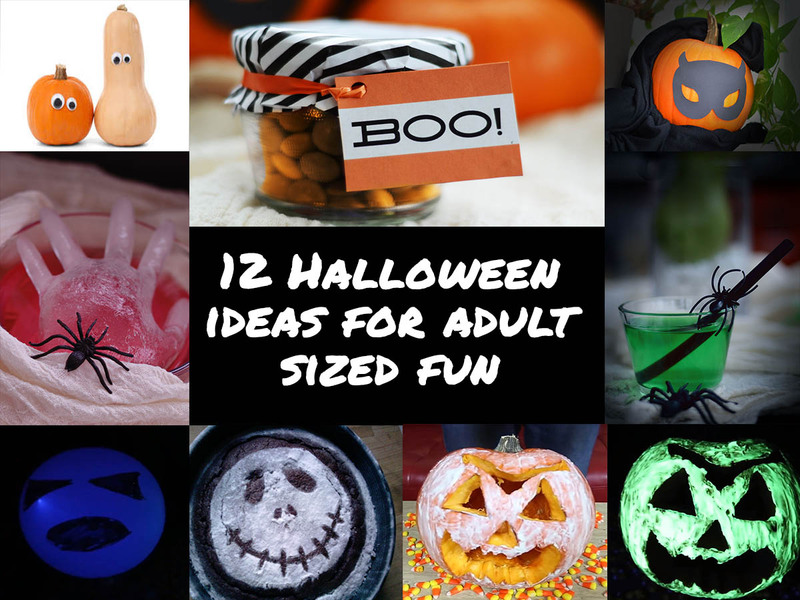 Too lazy or uncoordinated for traditional DIY crafts but still want some thing creative to put on your lawn or display at your Halloween party? We have the solution for you! I saw these great ideas and many more in a Youtube video from CrazyRussianHacker, he has great stuff that really makes life easier. To create this glow in the dark pumpkin you will need glow in the dark paint which you can buy at Party City or Walmart, a pumpkin, a sharpie, and we recommend using gloves. In the photo the guys who made this carved their pumpkin, but since these are non-carving tips, you can alternatively just draw a jack-o-lantern face on your pumpkin with a black sharpie, then cover the non-sharpied areas of your pumpkin with glow in the dark paint and easily achieve the same effect. This one almost needs no explanation. 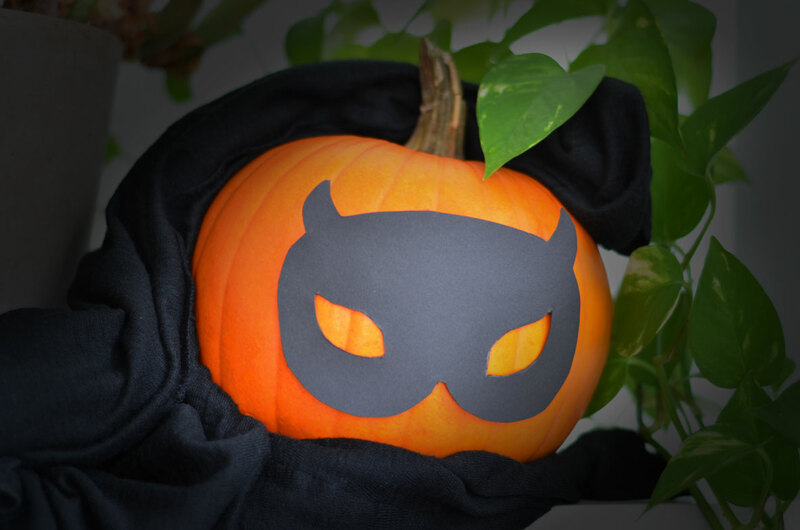 Buy a pumpkin and buy a mask–combine. However, there are endless possibilities with this one, you can have a Pirate’s eye patch, masquerade mask, or a bandit look for example. To make a nice face on your pumpkin you can buy a two toned one as we’ve shown here. 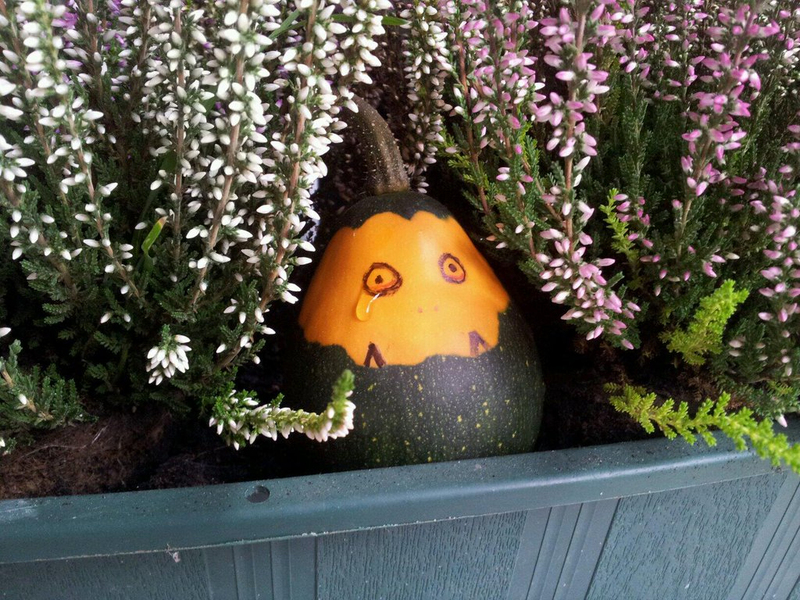 Our crying pumpkin is hiding out in the flowers. 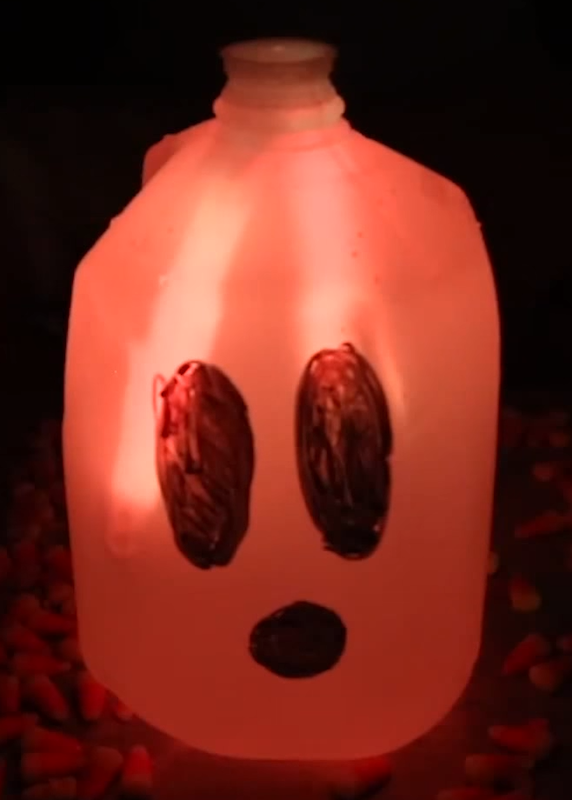 Take a gallon of water and draw eyes and a mouth on it with a sharpie. Then break 2-3 glow sticks, put them in the gallon of water, and turn off the lights. Easy peasy boo-tastic! This one is similar to the one above except that instead of using a gallon of water you’re going to use a white balloon. Break a glowstick and insert it into the balloon, then blow the balloon as you would normally. 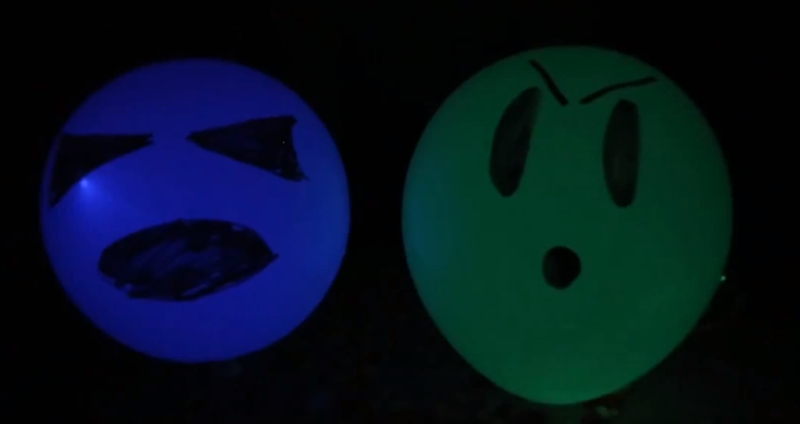 Once the balloon is blown then you can draw the face on it and you’ve got yourself some colorful ghosts. For all you Nightmare before Christmas fans out there…this is great to take as a snack to company parties as its easy to make. Bake a chocolate cake or brownie as you normally would. On normal paper draw and cut out eyes, nostrils, and a mouth– and lay them on the finished cake. Then freely spread the powdered sugar. 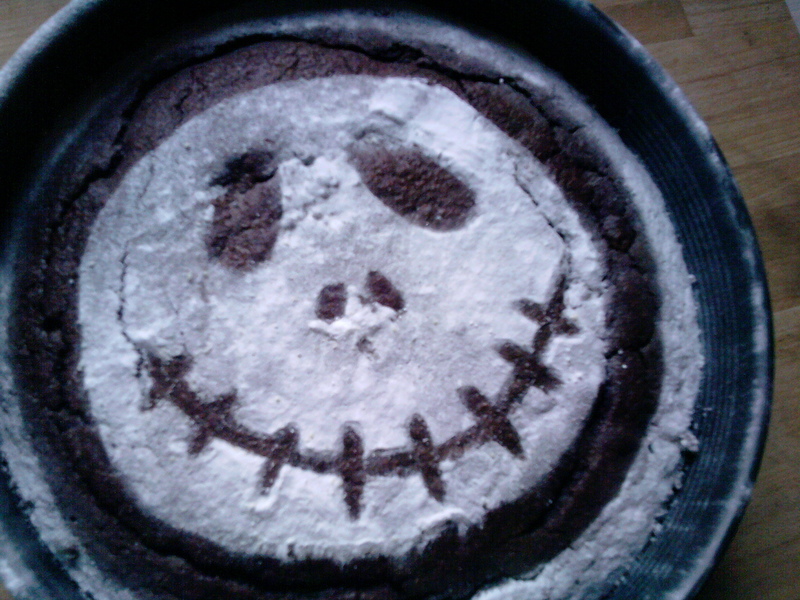 When you’re done remove your cut outs and you too will have a Jack cake or brownies. Note: we didn’t have a punch bowl in the office, so we improvised with a co-workers tupperware. This one’s super simple. 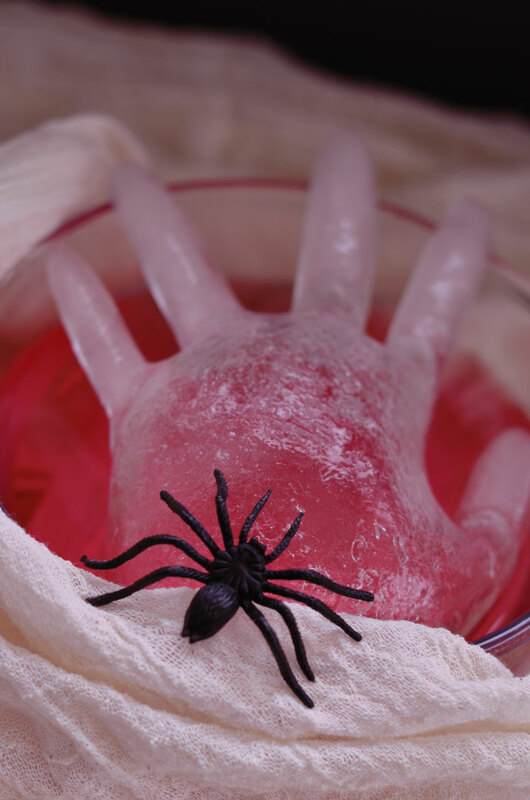 Freeze water in a latex glove and then pour it into your punch. Other versions of this that I’ve seen had red colored water that they then froze and the effect was that the hand stood out a little less from the red punch. 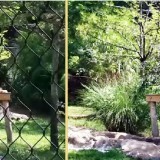 Try it out and see which effect you prefer. Alternatively for all of you Harry Potter fans out there, you could call it Polyjuice potion, as Halloween is all about pretending to be someone else. 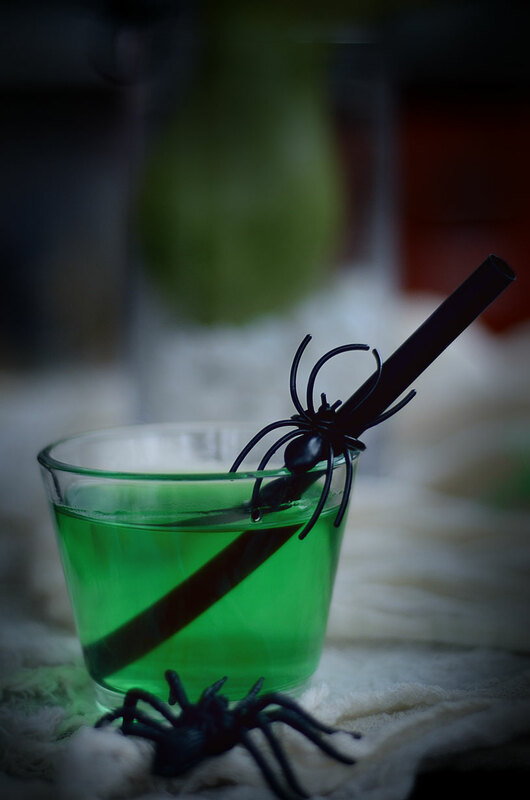 The slime like green color comes from the use of lime gelatin and it really adds to the Halloween spirit. Check out the recipe here. Okay, so this last one you can’t actually eat, but it’s “kitchen related”. 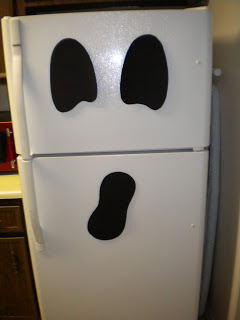 You could use black construction paper, cut out eyes and a mouth, and tape it to your fridge. A slightly more advanced version, would be to cut out pieces of black felt, glue magnets to the back of them, and stick those on the fridge. Feel free to share your Halloween creations with us either via comment below or you can share them on our facebook page.